One of the reasons why America’s news organizations and journalism as a whole is one of the most followed in the world is the embedded feature of introducing experts in different fields for analysis of various topical issues. This has provided a chance for men and women to get a better understanding of complicated issues via those who are experts in the field. Of a series of men and women who appear across CNN, MSNBC, Fox News and other major news outlets, Laura Coates is one of them. Perhaps it is the shortness in the period Laura Coates has spent in the limelight or a brilliant effort on her part to keep certain things about her life away from the media. Whatever it might be, there are certain facts about her background that have remained hidden away from the media, such as her birth date. We only know she was born in Saint Paul, Minnesota. There is also no information regarding her parents or the existence of siblings, either. What is, however, known is that she attended Princeton University where she earned her bachelor’s degree in Public and International Affairs and then got her J.D from University of Minnesota Law School. Before she became a star on CNN, Laura Coates began her career by working as a public prosecutor. As someone who has always been passionate about civil rights and women’s rights issues, she worked for the Department of Justice in the Civil Rights Division. During her time as a public prosecutor, Coates served as an assistant to the U.S Attorney for Washington D.C before she left the public sector for private practice, working on intellectual property litigation and trademark infringement. Although she no longer works in the public sector, her passion for justice in social issues remained and she sought this through writing features in publications like The Washington Post and The Boston Herald. She also released a book in 2016, You Have The Right: A Constitutional Guide to Policing the Police. 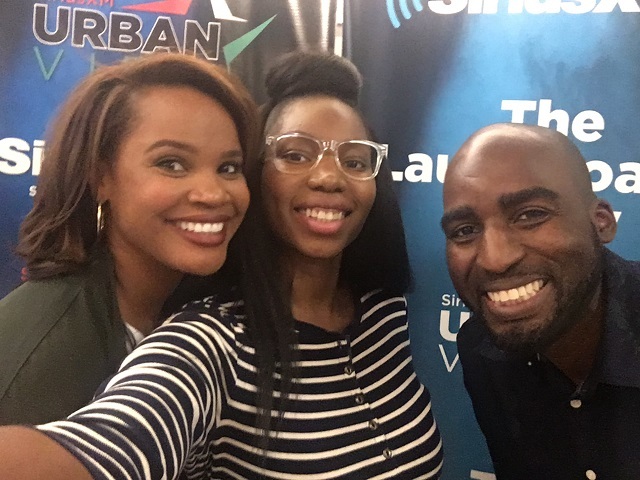 Her growing popularity and influence eventually got her into the legal commentator space in 2017, and she has been a part of it till date, working primarily for CNN but across other news networks and on the radio for Sirius XM Radio where she hosts her own show, The Laura Coates Show. In addition to her many responsibilities, she is also an adjunct law professor at the George Washington University School of Law. With improved experience and expertise came a pointed pivot into broadcasting for Laura Coates. She began her career as a legal commentator for CNN in 2017 and has been a feature of the new network’s news delivery ever since. Through CNN, she has taken on issues like the investigation into President Donald Trump by Special Counsel Robert Mueller and issues like the behaviors of the president’s lawyer, Rudy Giuliani. The reception to her work on the show has led to her being featured on other networks like MSNBC and TV One. In print media, her words have featured in The Washington Post, The Boston Herald and a couple of others. Being a legal analyst who takes on issues pertaining to the politics and governance of the nation, living close to the seat of the action is a smart move, and that is why Laura Coates lives with her family in Washington D.C.
She lives in Washington D.C with her husband, whose identity has strangely not been confirmed, but if rumors are anything to go by, she is married to Dale Gordon, a former professional footballer. The two reportedly have two children. Unlike her husband, her children make regular appearances on her social media pages, including Instagram where she regularly shares pictures of herself at her workplace either at CNN or Sirius XM Radio. Having broken into the expert commentator industry of news media in America, Laura Coates has found an additional source of income outside of her income as a lawyer. As a legal commentator for CNN, she is believed to be earning circa $82,000, per year. Through her popularity on CNN, she has secured a show on the popular satellite radio station, Sirius XM Radio and she is believed to be earning a substantial amount. Coates exact net worth is unknown at this time but with both extra incomes combined with her work as a lawyer, it would not be amiss to think of Laura Coates as a millionaire.